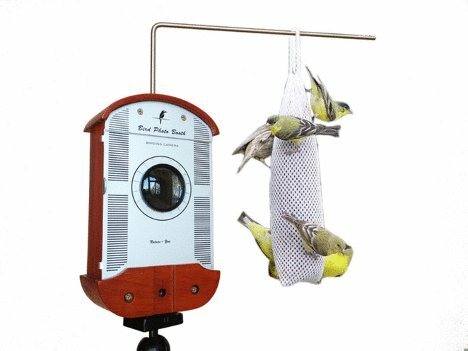 Bird watching is about to join the 21st century thanks to the Bird Photo Booth. The device is basically a bird feeder with a space inside for a smartphone or GoPro camera. As birds come up to feast on the treats set out for them, the phone or camera captures their images from up close and sends them – via Bluetooth or wi-fi – to another device. The user controls the shutter from the second device. You can take still macro pictures or HD video (with sound!) of the birds that come up to eat from the adjustable stainless steel bowl. 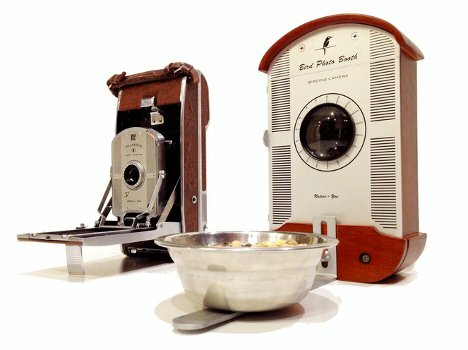 The Bird Photo Booth’s design keeps the bowl out of the frame while letting birds get very close to the lens for the most incredible nature shots ever. The case protects your expensive equipment from curious wildlife but still lets you utilize your high-tech stuff to enjoy nature in a completely new way. 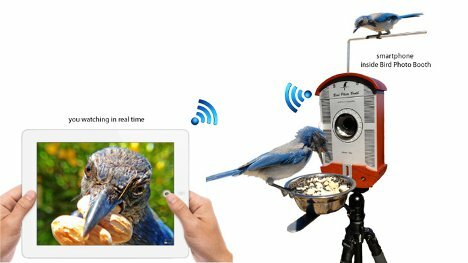 The device allows you to mount whatever type of bird feeder or food will attract the kind of bird you want to photograph. The feeders can be moved into whatever position will offer the best view of the birds. 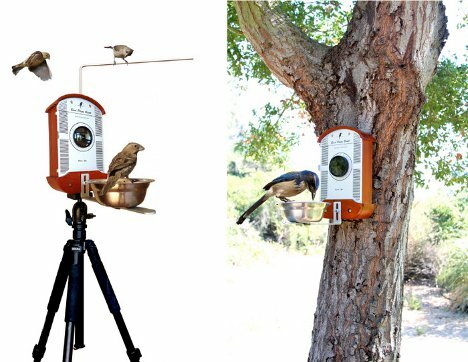 If you don’t want to take pictures of birds but are interested in other animals (or maybe your new neighbors – we aren’t judging), the Bird Photo Booth offers the perfect outdoor camouflage for your smartphone or camera. Future generations of gadgets will be compatible with the Bird Phone Booth thanks to interchangeable interior foam pads that hold the devices in place.